Below we are presenting testimonials of people who underwent plastic and aesthetic treatments in Artplastica clinic. All statements and pictures are authentic! 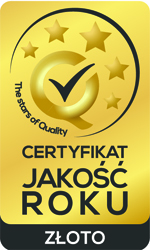 We would like to thank to all our patients for the trust! I believe that my decision about undergoing breast augmentation was really think trough, and I was one hundred percent committed. When I thought about my surgery, I felt mostly pleasant excitement that at any moment my dream will come true. But even though I couldn’t be more ready, on the operation day caught me stress.